Our mission was to bring together all the traditional hotel supports into one digital high-end solution. The BOOKVIDEO bespoke products were introduced in the hotel rooms with our In-room BOOKVIDEO, where guests can explore the hotel facilities, restaurant menu and spa brochure. They can also order room service or complete their in-room breakfast in a couple of easy clicks. 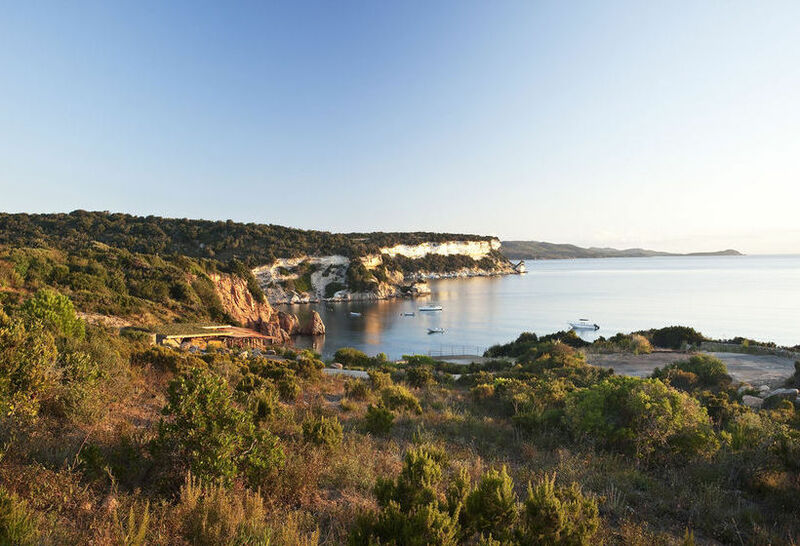 A hotel in Bonifacio: the soul of an island U Capu Biancu opens its doors and the soul of an island is revealed: an island they call Corsica. Or Corse. Or even Kallistê, the very beautiful. An island rising up like a bright frontier facing the world. An ardent land, raw and wild, where life is dreamt and where life is breathed in deeply. A country whose impetuous character is reflected, just as fiery, in the men and women who inhabit it. A nature that forged temperaments, modeling them after the proud and arrogant mountains, after the chaotic thrusts of the coastline, after the sea by turns serene and tormented. An island whose beauty has always enticed covetousness, all the more for her place at the heart of the Mediterranean. Today still Corsica resists: a piece of paradise, a heritage to protect.